NYC Mold Removal – Do You Have a Mold Removal and Remediation Plan? Mold has a distinctive odor that’s described as an old and musty smell. It’s unpleasant and when detected usually means there is mold growing somewhere in your home. Mold can be in the ceiling, floor, behind the wall near pipes, laundry room, or any other place that has been affected by water. It can move from one area to another and if it’s in a hidden place, you won’t even know it. The reason for the odor is mold is made up of mycotoxins that produce the odor. Mycotoxins are a compound of mold spores. When mold is present, these spores become airborne and are inhaled by humans and pets. Mycotoxins cause a variety of health issues such as sinus infections, sore throats, joint pain, migraines, bronchitis, as well as exhaustion and difficulty with the digestive system. While cleaning with strong solutions or using air fresheners can mask the musty smell, it does not get rid of the problem. A professional service dedicated to mold removal will know how to detect the level and severity of mold in your home. Locating the mold problem is the first step followed by eliminating the problem are the priority. You can do this through the services of a NYC mold removal professional. An expert trained in mold detection will find all the nooks and crannies where mold may be growing, determine the type of mold, and make removal recommendations. When the unsightly discolorations of smelly mold are affecting your quality of life, take a stand and get help from the NYC mold removal specialists at SternMold. Call today for a free inspection. If you’re in need of long-lasting NYC mold removal solutions, our Stern Mold team is ready and willing to help! Do you live in a building that is showing signs of mold infestation? Have you contacted your landlord about the issue? Do you feel your concerns have yet to be appropriately addressed? You can safeguard your health and those around you by taking positive action. Our NYC mold removal crew understands the importance of implementing a process. If you go through the right steps, you facilitate the best results achievable. If mold is indeed affecting your livelihood, notify the building owner or landlord right away. This action affords responsible owners the initiative to decide how to remedy the situation. Their next step will determine yours. 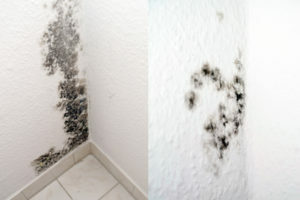 The longer mold remains without treatment, the more likely it will spread and negatively impact your life. After notifying your landlord, have you noticed if they are quick or slow to respond? Doing nothing is a choice. When your landlord chooses to neglect or disregard legitimate concerns, it’s time to act. Filling out and turning in a Mold Complaint form can help jumpstart the owner into positive action. Residential, commercial and abandoned buildings are all under the threat of mold growth, and in New York, our humidity is prime for mold growth. 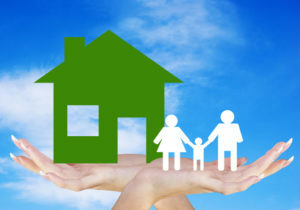 Rental property owners are required by law to ensure your environment is livable. Mold takes away that celebrated liveability. Stern Mold is an NYC mold removal service that understands humidity and your desire to live without fear of acquiring dangerous health afflictions. Contact us now and claim a mold-free peace-of-mind today! Have you done everything you can to rid your property of mold but nothing you do seems to work? You’ll save yourself time and money if you ask the trusted Stern Mold NYC mold removal experts to eliminate the fungus that is infiltrating your space. Mold isn’t patient. As you’re looking for ways to get rid of this unwelcome and harmful substance invading your peace of mind, the mold will continue to grow. Don’t allow the unknown to threaten your health any longer. The quicker the problem is handled the less likely you or your loved ones will suffer from its long-term effects. If you’ve discovered a leak, the mold may already be centralizing in that area. If humidity is prominent in your area, mold spores may be traveling through your home and infesting. Contact the pros right away so you can improve your environment and stop mold from making your home theirs. Knowledge and observation are two key elements in determining mold’s source and what to do next. Get factual with fungus by utilizing a resource that knows mold and its habits. We know exactly what to do about mold! At Stern Mold, we combine experience, information and a plan of action to clear the air and combat the problem with efficiency. NYC mold removal experts recognize the signs. If you are stressed out, tired, and continually caught up in fighting back against the unseen (aka mold) don’t struggle any longer! We’ll do the hard work for you. Contact us to acquire the relief that comes when you trust our team of mold removal experts! 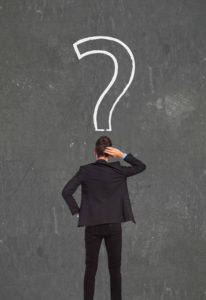 How Does Mold Travel In Your Home or Building Once It’s Established? Mold doesn’t just lurk in hidden spaces – it travels out in the open, so cancel its travel plans to preserve your health. When the ‘weather’ conditions are right, mold settles in and stays. How can you put a stop to mold’s path of destruction? Stern Mold is an NYC mold removal company that keeps mold from hitching a ride on your walls and floors. Our company helps you give mold a one-way ticket to elimination. Mold spores are always hanging around, seemingly waiting to attach to a moving object. Humid air, pet fur, ducts, clothing, and plants are all moving vessels for mold. 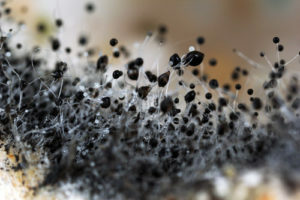 Colonies of mold are quick to grow when they discover a moist spot to settle down and grow. Our NYC mold removal team knows how to find trouble areas and potential factors that are aiding and abetting mold spore transfers. Warm air is a nesting ground for hitchhiking mold. Don’t let mold put a hitch in your plans. You can do something about it! Analyze your area for signs of mold growth. If you’ve been experiencing dizziness, wheezing, and other worrisome symptoms, it’s not just time to see a doctor! It may be time to visit your trusted mold remediation experts for the answers to any questions you may have. The mold infesting your property will turn in its traveling papers when it meets our entourage of NYC mold removal experts. We help you get the safe environment you need so you can do some fun traveling of your own without fear. Click here and see how Stern Mold can make all the difference! Have you experienced an allergic reaction to mold? Is mold and what comes with it plaguing your household? Then, mold mites may be invading your space! Does your business or residence offer feast for hungry mold mites? Instead of treating harmful mold mites to a banquet at your place, allow NYC mold removal experts to extract the mites’ food source for your health and welfare. What are mold mites? How can you stop them from munching you out of house and home? It’s time to show them the exit! Beware the white and tan bugs that delight in snacking on your mold-infested spaces. These wingless mites don’t bite but still irritate. They are minuscule in size but their long hairs are far-reaching. People who come in contact with mold mites can experience allergic reactions. Mold mites don’t only trigger allergic reactions they also lower the air quality. For people who suffer from asthma or weak immune systems, the detrimental conditions that mold spores and their feeders produce is particularly troubling. Threatening infections can plague chronic lung illness sufferers in homes with mold. It makes it that much more important to employ an experienced NYC mold removal team to address your health concerns with immediate action. We know that mold mites love dead plants, damp spaces, rotting food and even birds’ nests. We also know exactly what to do to get those pests away from you and your family. Allow our expertise and thorough problem-solving to rid your property of the pests that permeate your safe haven. Contact us today so we can help you start living mold-free!